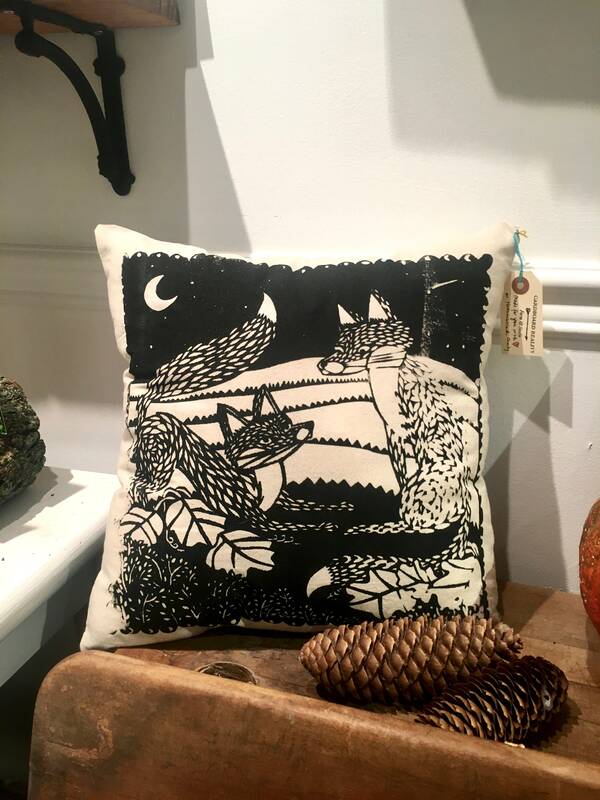 Just in time for Valentine's Day - a soft and cuddly print of foxes in love! This open edition silkscreen with an original paper cut out design is a lovely way to say "I love you" to the nature lover in your life. Stark black and white designs are adorned with botanical details and is surrounded with illustrations of the moon phases. 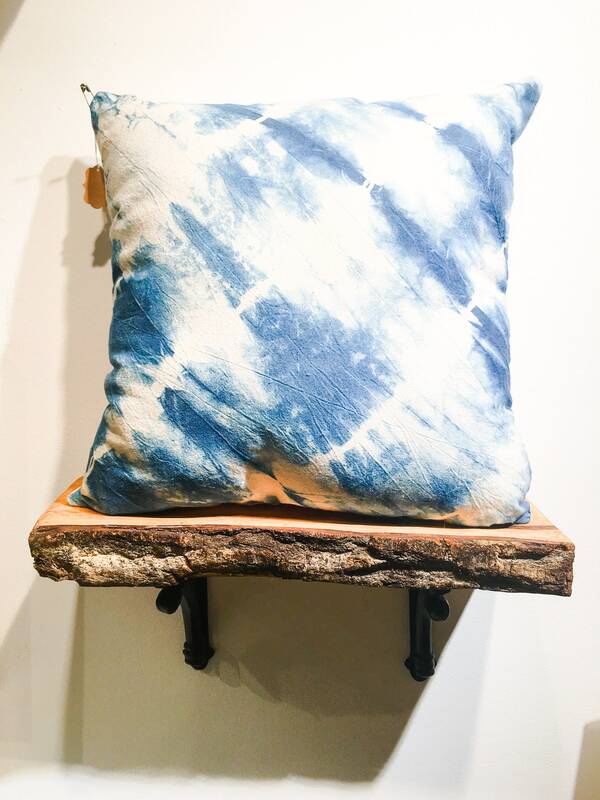 Printed on muslin in water based ink with an indigo shibori-style back, this throw pillow is a sweet edition to any room. Inspired by a love of nature and the beautiful Northumberland Hills that surround our Canadian farm, we could not be pleased to finally be offering this design in our shop. 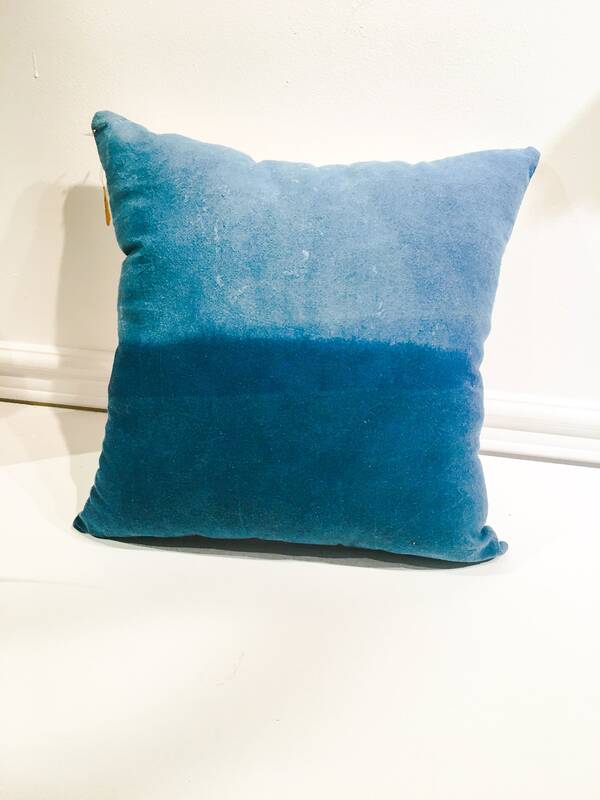 As each piece is hand made and unique please allow for some natural variance in the printing process from the item pictured.